Starting in April 2018, Medicare is mailing new cards to all people with Medicare. 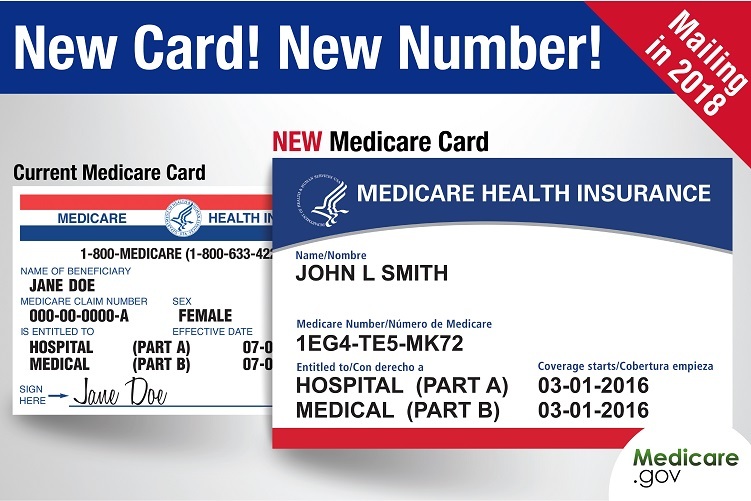 To help keep your identity secure, the card will have a new Medicare number, not a Social Security number. You don’t need to do anything to get your new card. Once you get it, you can start using it right away. Watch your mailbox for your new card, new number! Follow the links below to learn more about your new Medicare card and the steps that you can take to prevent Medicare fraud. If you have questions or need information, please contact the Delaware Aging and Disability Resource Center.